Sometimes my brain is speaking to me so loudly that I can’t what my heart is saying. For example, my brain may say that I need to defend myself with words because what that person is saying is not true. Or it may say that I need to help that person, even though they didn’t ask for help. Or it may say that I shouldn’t practice acceptance when things aren’t going my way, I should try harder. 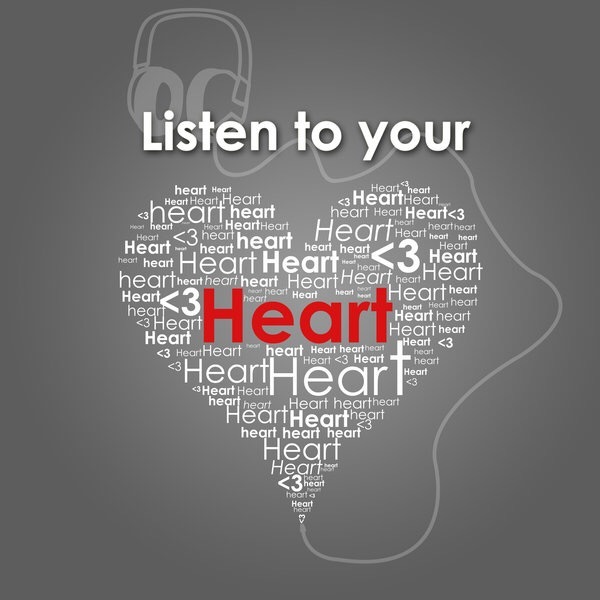 This is what I might want to consider listening to my heart. My heart says to detach with love from toxic people, to not do for others what they can do for themselves, to not offer unsolicited advice, and to practice acceptance, trusting that God has a better plan for me. If what’s going on is not life threatening, and I listen to my heart instead of my head, I experience less drama, stress and anxiety, and have a more peaceful, happy existence. And when that’s happening…ILML!